Pret a Collection will be one year old in a few days and I was thinking what can I change and what could be a great fit to the website. I will be working more on what I planned to do for a long time. I will be working more on men capsule wardrobe and kids capsule wardrobe. Just because they need it as well. 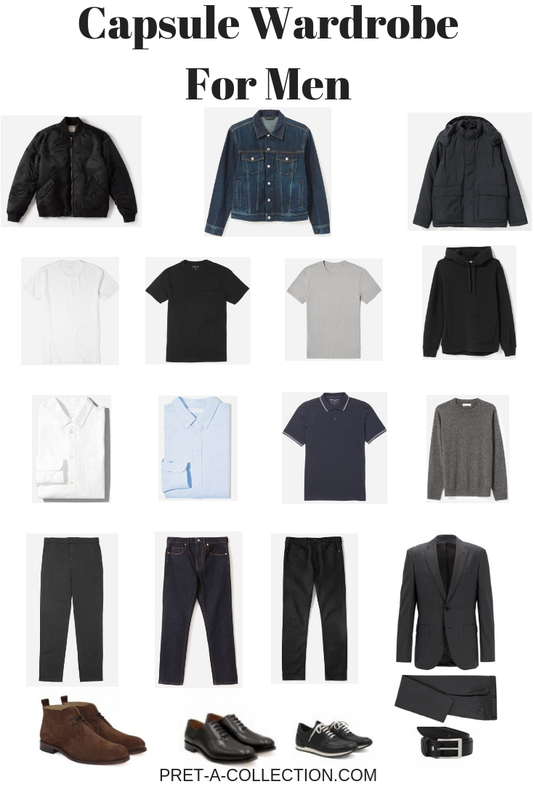 So let’s start with the men capsule wardrobe. 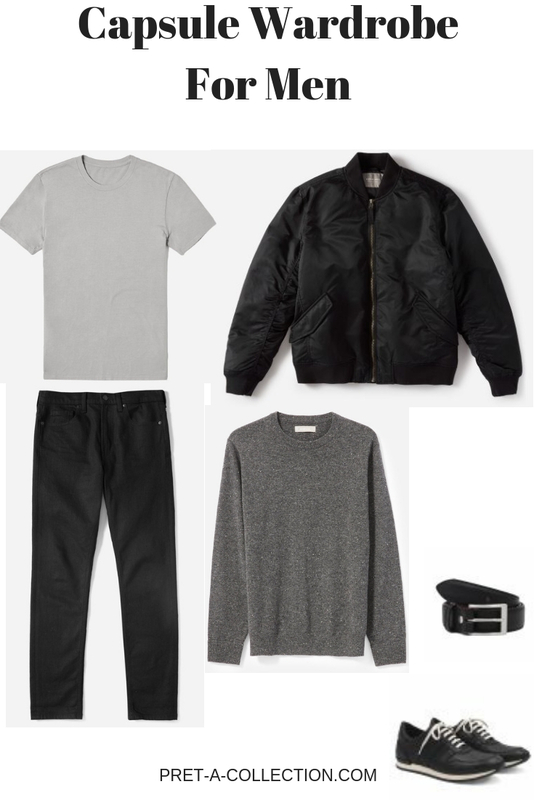 What man should have in his wardrobe? I did some browsing on Pinterest and it is pretty clear. Few t-shirts, colour depends on your preferences, 2 pairs of jeans, sweater, pullover, suit, shirts, leather jacket, denim jacket and winter coat. I would even add a trench coat. And what about the shoes? White trainers, smart shoes, boots. Of course like everything else it depends on preferences, but basics should be black, white, grey, navy. No, it doesn’t have to be all at ones. 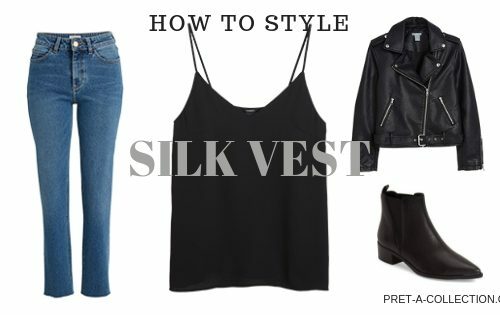 If you like black, just stick with it, even easier for you to build a capsule wardrobe. 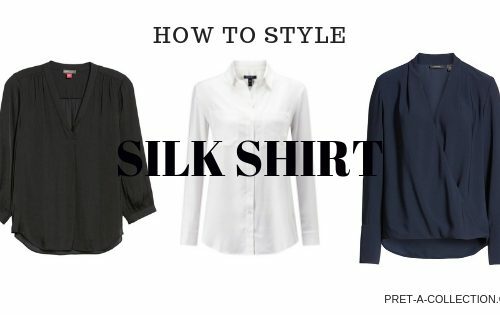 Not all men needs to wear a smart shirt to a work or a suit but you definitely need one. Don’t try to skip it! Anyway smart shirt looks great even with the jeans. 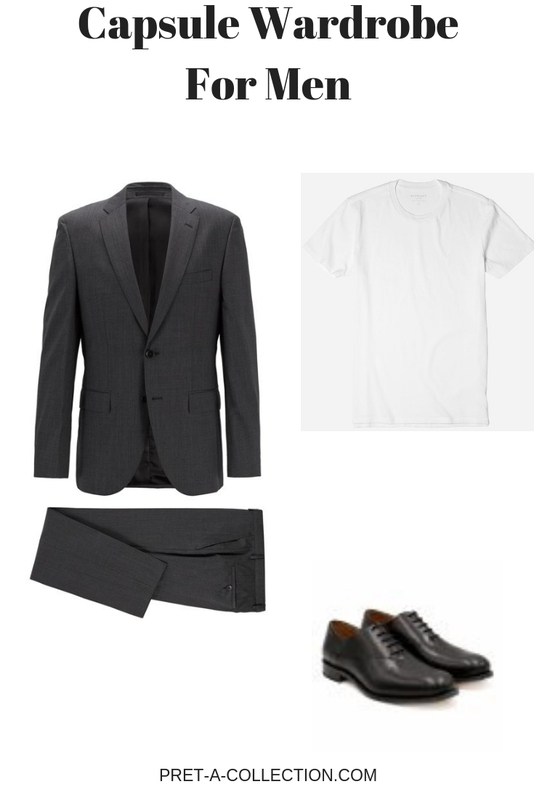 And suit can be worn separately. If you like shirts, great get one extra casual and denim. That’s the easiest part, everyone wears jeans. In dark colour is the best fit. Get at least 2 pairs, another pair should be lighter blue, black or dark grey. If you like or need another pair of pants then the cargo pants are the best choice. Wear them with a blazer and you have a smart casual outfit. Sweatshirt and knit is a must have. 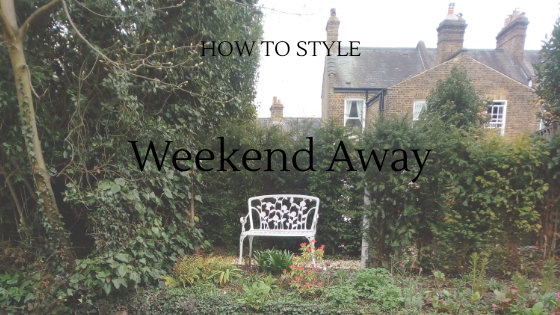 It will cover your everyday wear and if you need to look a bit smarter or just because you like it you need to have in your wardrobe one of each. The best colour choice is neutral as always. Black, grey, navy and if you look for something more stand out dark red is great. This is the good piece of clothing where you don’t need to stress too much about the colour, It will fit with everything anyway. Leather jacket, denim jacket and a winter coat. These are the basics what everyone recommend, but I am not quite sure about it. I would put it more like a jacket what fits your lifestyle and a winter coat. Why like this? Just because I can not even imagine my husband to wear a leather jacket. 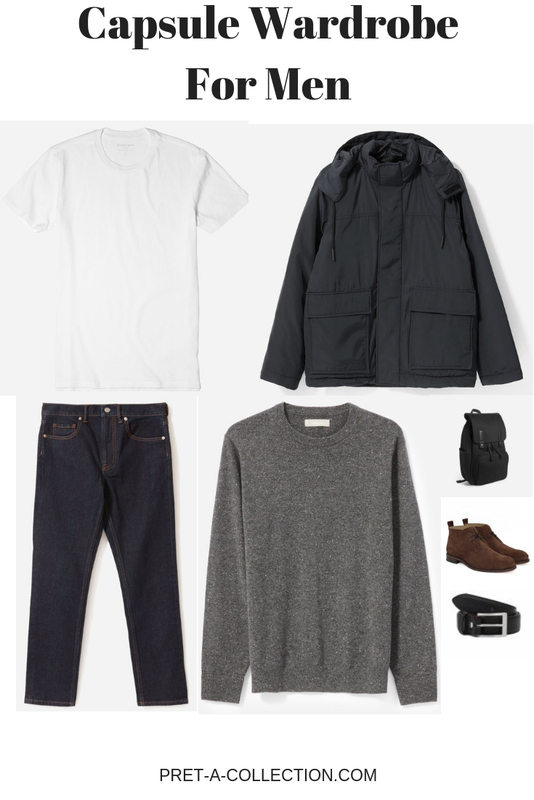 Trainers, boots and smart shoes are musts in a great capsule wardrobe. White trainers would be ideal, but if you are not much into this why not to go for something more sporty? Smart shoes only in black or brown, nothing else is acceptable. And the boots, what can I add. You just need them. 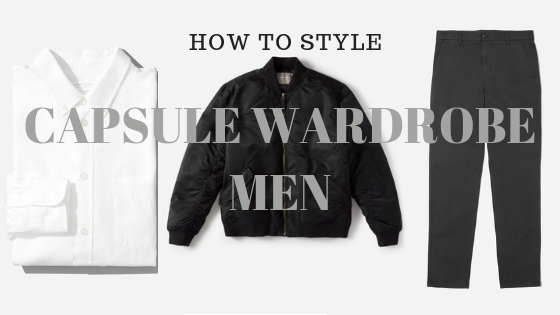 This are the basics of a classic capsule wardrobe. Of course I added some collages for inspiration. 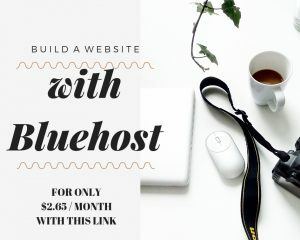 Just to give you some idea how easy is to get dress and look amazing every day. If you need to add something to your capsule wardrobe check my special discounts page to get better quality for less. Did I miss something? 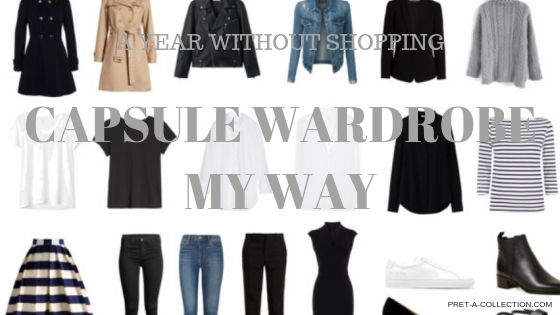 Please let me know your thought about the capsule wardrobe in the comments.